As a strong supporter of American energy and consumer-focused competition and choice, you understand the benefits tied to our nation’s ongoing energy revolution — more local jobs, more affordable energy for families and small businesses, and enhanced security. 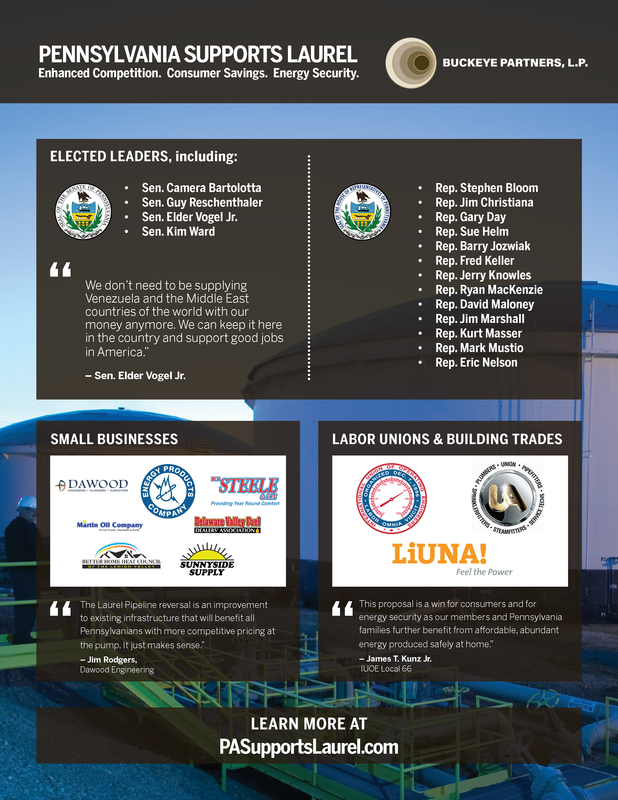 We encourage to you to join other Pennsylvania energy advocates, who are focused on moving the Commonwealth forward, in letting our leaders in Harrisburg know that you support this important project. The choice is clear: supporting the Laurel Pipe Line project — rather than the status quo — will benefit Pennsylvania consumers, strengthen our nation’s security and move the Commonwealth forward.